Ponytails And Smiles is a photograph by John Haldane which was uploaded on September 2nd, 2018. 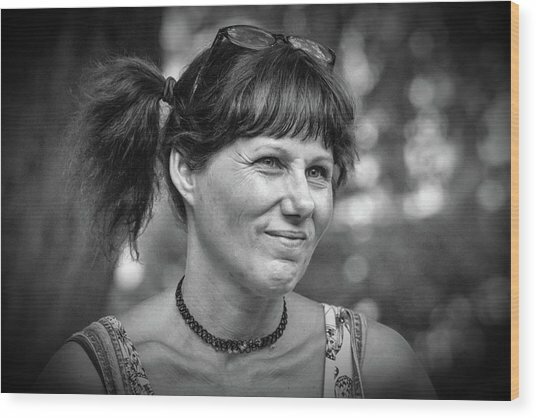 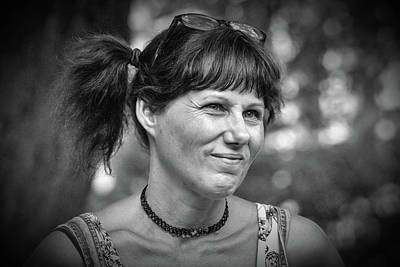 Ponytails and Smiles were what attracted me to this woman as she watched the Asheville Drum Circle. Every Friday night, weather permitting, drummers, dancers, and crowds of observers gather in Pritchard Park to spend 3 or 4 hours enjoying the "Heartbeat of the Mountains." 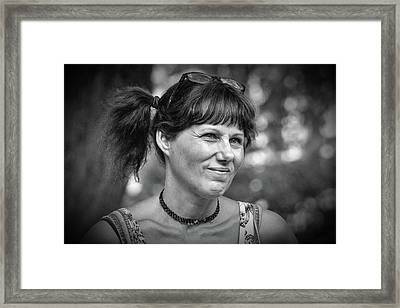 I enjoy spending time there taking portraits of the many fascinating people who come to the event. 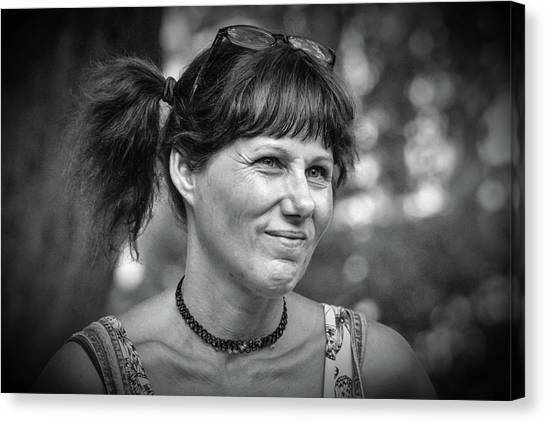 There are no comments for Ponytails And Smiles. Click here to post the first comment.